getcalc.com's Simple Interest (SI) Calculator is an online finance tool to calculate the interest return on the principal amount lent at certain rate of interest for a particular period of time. 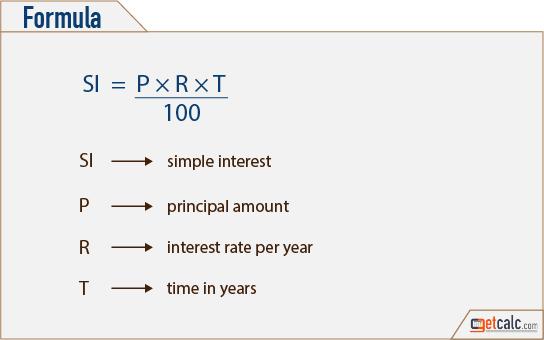 Simple Interest is a finance function or method used in the context of time value of money calculation, often abbreviated as SI, represents the interest return for the principal amount on a certain percentage of interest rate for a specific period of time. In simple interest calculation, the principal amount never change, during the interest accumulation period.